Or simply Jia, in case you don't speak Mandarin Chinese. I want to work at Busuu, for everything I do, I believe in challenging the status quo, in thinking differently. Being a part of an ambitious team that revolutionizes the way we learn languages, is simply my dream come true. During my years in the field of Teaching Chinese to Speakers of Other Languages (TCSOL), I realized the best way for us to tackle the problems while learning the language, is by making the content beautifully designed, easy to use and user-friendly. I just happen to have some wonderful ideas, and a clear vision to make them happen. Please scroll down for my CV, followed by the report especially dedicated to Busuu. Designed and operated Children’s’ Chinese Competency Certification (CCCC) for test takers aging from 7 to 12, based on their cognitive and language development, created interesting, lively and diverse test content. Collaborated with senior team members in academic researches in TOCFL and CCCC, maintained high quality of the assessments, and provided analytic statistics reports annually. Initiated the development of CCCC: Speaking and introduced solid construct for future testing. Hosted test designing workshops annually for training front-line Chinese teachers in broadening the item pool. Led evening classes consisting of both home and international beginner students of the country, applied self-designed teaching aids (paper- and electronic-based). Conducted students’ final linguistic performance assessments by applying homemade evaluations of the four abilities and overall communicative competence. Customized academic feedback and diagnostic appraisal to follow up student progress. Held class activities regarding different cultural events and topics, such as Chinese food (recipe studies and actual cooking), Chinese celebrities (from Confucius to the modern-day singer Jay Chou), various festivals of the year, and Chinese art of music (Gu-Qin introduction and live performance). Designed Chinese-English student performance evaluation charts, attached to final reports of the programme for the learners to know their strengths and weaknesses in Chinese. Trained teaching assistants while evaluating and improving related teaching skills, also provided one-on-one teaching guidance after each course. In-house corporate language trainer, conference interpreter. Developed critical thinking in current issues in the field of TCSOL in the broad Second/Foreign Language teaching context. Specifically aimed at identifying the needs and individual difficulties of English-speaking learners in the UK. Specializing in modern language pedagogy, material design and evaluation, education management, and teacher training. Final dissertation on "Alignment between TCSOL Material Design and Teacher with Different Experiences". Focused on Chinese linguistics, phonetics, grammar, second language acquisition and language pedagogy. Specialized in Chinese History in the worldwide context, especially in topics of Chinese cultural historiography. Mandarin Chinese: Native tongue, graded First Class in Putonghua Shuiping Ceshi (PSC). Taiwanese: Native tongue, commonly used in Taiwan as well as south east China. English: CEFR C2 Mastery user, IELTS Band 8.5, TOEIC scores 965. French: CEFR B2 Independent user, able to interact with a degree of fluency and spontaneity that makes regular interaction with native speakers. Italian: CEFR B1 Intermediate user, able to hold daily conversations on common subjects. 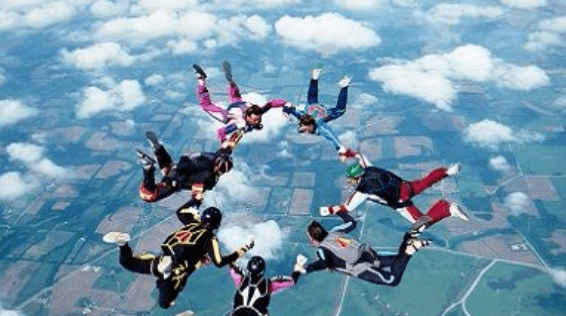 Active practitioner of bungy jumping, paragliding and parachuting (skydiving), which all connected to my deepest fear: heights. As someone who frets at the idea of being in a descending transparent elevator, I pushed myself to face it by practicing extreme sports. By pushing limits, one realizes how amazing life is, and that the sense of freedom lies in the tranquility of mindset itself. 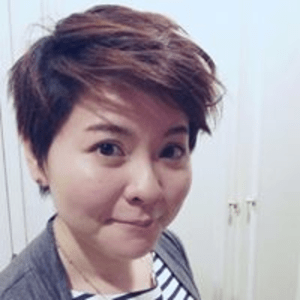 Volunteer Mandarin Chinese teacher of Huai-En Elementary School, Thailand, since 2010. I believe in the power of knowledge as the provider of equal opportunities for learners around the world, thus committed myself in language teaching in the elementary and kindergarten sectors, accompanied by the efforts towards improving fundamental infrastructures for the local community. In the year of 2017, I decided to transform myself from an amateur foodie to a systematic hardworking chef. 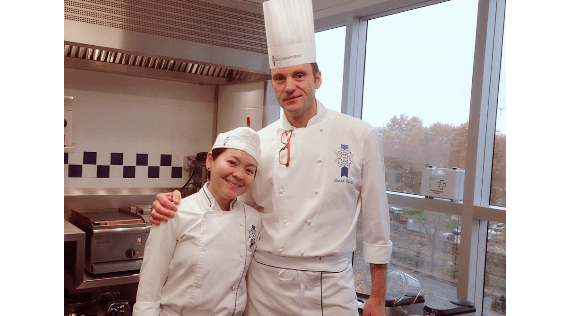 In this sabbatical year I relived the experience of "knowing the box" and thinking outside of it in the gastronomic sphere, while successfully graduated from Le Cordon Bleu Paris in French Cuisine as well as Boulangerie Programmes. One of the world's largest online social community for language learning, with over 70 millions subscribers and up to 100k new users per day. Provides courses in 12 languages (and still growing) for adults, as well as English and Spanish for children aged 4 to 7. 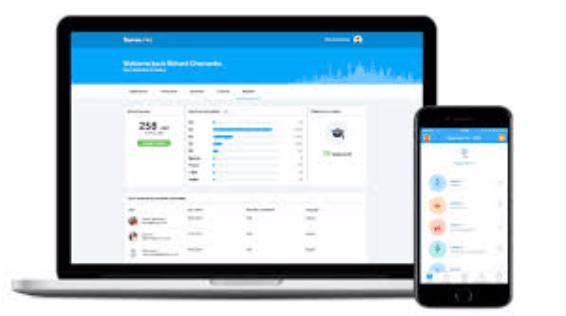 Available in iOS, Android and web forms, supports offline downloads, grammar exercises for premium members as well as 6 other exclusive features. Aligns with the Common European Framework of Reference (CEFR) from A1 to B2 and provides certification of McGraw-Hill Education upon completion of each level. 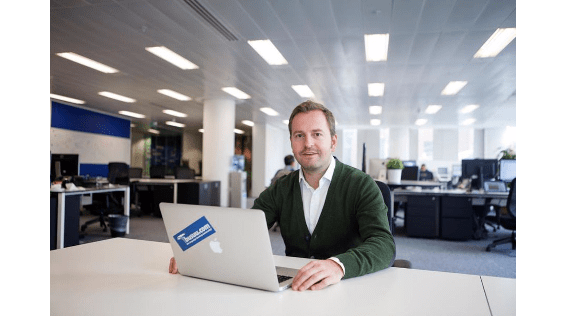 Launched Busuu for Business, the language learning platform for schools, universities and companies in 2016, providing solutions for better management and tailored content for employer growth. Is revolutionizing the way people learn new languages throughout the world, gaining mutual understanding and eliminating bias and conflicts. Compared to Busuu's accomplishments in Indo-European languages, a comprehensive learning system of Mandarin Chinese for non-native speakers remains incomplete. As the transitionary tools between utterance and sophisticated ideograms, as well as the "alphabets " for typing, the introduction of Pinyin or Zhuyin is a must for every learner of Mandarin Chinese. Learners should be given the opportunity to compare the pros and cons of both of the tools, and choose whichever system that suits their needs from the start. The ideas behind the construct of both characters are fundamentally different, as the former based more on replacement and pronunciation, and the latter more on history and meaning. Apart from it, the diversity of meanings in vocabularies throughout the Chinese-speaking communities ought to be recognized by our learners. For adult learners, the provision of C1 & C2 level courses remains absent. 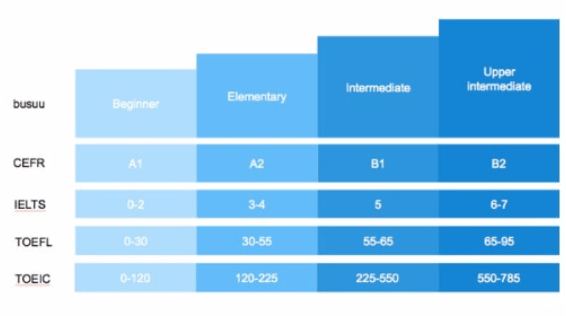 It is under these 2 levels that even the proficient users find the most difficulty in the implicit meaning embedded in this language (mostly from intuitive grammar and the background knowledge in culture); For younger learners, offering the Pre-A1 level will help to ease the process according to their early cognitive development. When it comes to language learning, the context provides meaning, purpose, and a natural flow between the interlocutors, even more so for young learners, as they are relatively incapable of dealing with abstract ideas. By situating the material from the children's' angle, a great design of visual effects and highly interactive contents will fulfill the needs of being both educating and entertaining. As one of the greatest features of Mandarin Chinese, the nuance in tonal pronunciation could alter the meaning of a sentence completely in oral conversations. It is necessary to have tonal exercises integrated in every lesson until the level of B2, along with the possible liaisons when particular tones emerge. Chinese characters seem to be daunting at first look, and the thought of mastering the everyday 3,500 ideograms more like mission impossible. However, with a systematic method of arrangement, one could start from the basic "200 bricks" (from pictographic, indicative and associative characters), and build up a general comprehension throughout the rest with the lessons. Mandarin Chinese is the fastest growing language learning market in the world. In the UK alone, there has been a 40% growth per year since 2002 in middle schools, with numerous establishments listing Mandarin Chinese as one of their compulsory subjects. However, the development in Chinese-e-learning still lingers in an early stage, showing a huge untapped investment potential. With every 5 people in this world, one of them is an active user of Mandarin Chinese. It has already been estimated to be the next world language after English. With celebrities such as Prince William, Mark Zuckerberg, and Herbert Hoover being able to give speeches with distinguished competency, it only stresses their recognition upon Chinese to be the language of the future. According to recent financial analysts, by the year of 2020 China is expected to replace the United States in becoming the world's biggest economy. With the initiation of One Belt One Road (or B&R) and agreements in multilateral trade (TPPs), the economic influence will be a force to be reckoned with, as well as those who are equipped with such competitive advantage. According to the latest report of PNAS, those who speak tonal languages such as Mandarin Chinese use both hemispheres of the brain rather than just the left, gaining access to the areas in charge of music and rhythm via the pitch and tone of the language. It is particularly beneficial towards the early development for younger learners by tapping into their cognition forming process. As Chinese characters are in nature logograms, they don't possess a direct link between pronunciation and production in the writing system, thus posing the greatest hinderance in learning especially for Indo-European speakers. The key of solving this problem is by cultivating the oral abilities first with Pinyin/Zhuyin from the early stage, then gradually introducing the initial "200 bricks" (mentioned earlier) when the learner has already enough vocabularies for everyday needs and a basic grammatical understanding of the language. While learners may have different purposes while studying the language, the influence which their mother tongues cast over the learning process should also be taken into consideration. For example, people living in countries within the sinosphere (eg. Japan, Korea, Vietnam) comprehend Mandarin from character recognition, contrary to Indo-European speakers from pronunciation. Under such default, the design and layout of the product should be arranged accordingly based on the learner's abilities, utilizing their advantages instead of working against them. 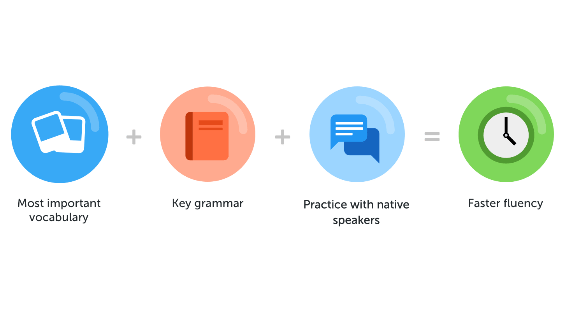 According to researches the two abilities are very likely separate processes (especially for non-native speakers), and by mixing the two in materials the learning interest would not only suffer greatly but also not user-friendly. Based on modern-day habits, it is far more important to acquire the ability to be able to choose the right character in typing than the actual hand-writing, therefore in designs there ought to be different requirements as to the actual quantity for both competencies. 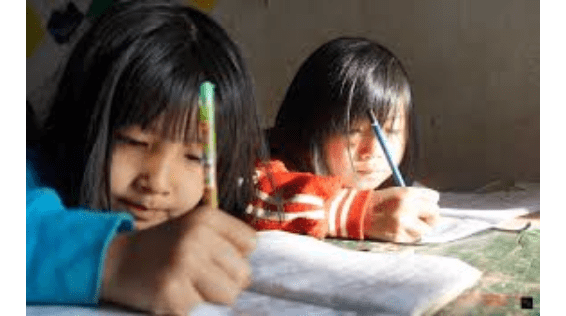 As Mandarin Chinese is heavily embedded with its culture, it is essential to include background knowledge within every lesson to aid further comprehension. For learners in more advanced levels the provision of bite-piece idioms, two-part allegorical sayings, linguistic games, mini-sized historical stories, regional customs would cultivate cultural understandings while helping learners interact with native speakers in daily lives. Mandarin as logogram has a very different concept in the construction of dictionaries. Each Chinese word could have its separate meanings while transform completely when paired with others. It is because of such linguistic feature that the Busuu character dictionary of Mandarin Chinese ought to include spelling, meaning, possible combinations, usage in sentences, as to stroke orders (how to hand-write them) and last but not the least, radicals (which category this character belongs to). 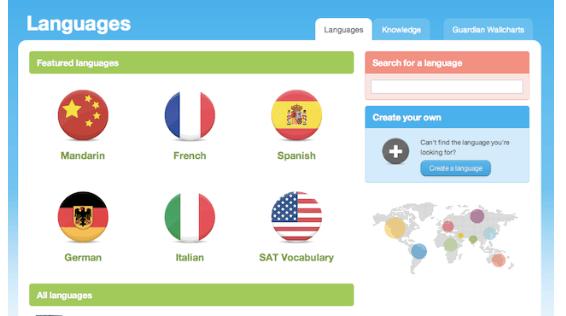 While learners may not study the language to pass the standardized tests such as HSK and TOCFL, they still hold valuable referential values by providing descriptions of each competency and vocabulary requirements for each level. For those who are in need of future immigration, academic progression, career advancement, or simply self-recognition, Busuu's alignment with large-scale standardized tests will separate itself from others in credibility in the market. How did I encounter Busuu? I started learning French about a year and a half ago. Back then, there wasn't a lot of materials to choose from apart from paper-based textbooks and French films/series which were still too difficult for beginners. By using Busuu I was able to accumulate my vocabularies on a daily basis, downloaded contents and study at odd moments. As a fluent speaker of Mandarin and English, I even helped others to correct their errors. Until one day, I was curious and switched to the Mandarin-learning section and discovered the possibility to contribute to your future. I would love to be a part of an exciting and innovative team that affects the ways millions of users learn new languages around the world. I appreciate and identify myself with the company value of diversity, mutual respect and equal opportunities that boost work dynamics. It is crucial for me to work in a highly interactive team while maintaining independence in self-research and development. The culture of openness within Busuu allows employers to learn and evolve throughout the day-to-day challenging tasks. 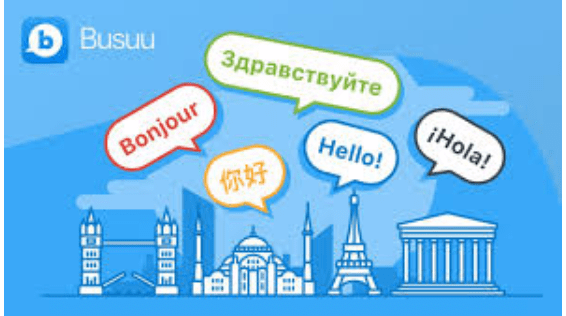 Member of Busuu since 2015, I use the Busuu app on a daily basis and have a deep understanding on language learning apps in general due to my profession. I have always had a strong desire to make a lasting positive impact on language learning, benefiting millions of people around the world. While respecting traditions, I embrace changes and innovative ideas when there are needs. Under multiple situations, it is proven that I am capable of delivering high performance under pressure. My experiences in conducting both quantitative and qualitative researches allow me to decipher phenomenons and trends from pure facts. I believe that creativity exists not only in "thinking outside the box", but also in thinking "between" them. It is through this combinatorial force that we join the least expected ideas and form new concepts, which I look forward to have even more by working in Busuu.